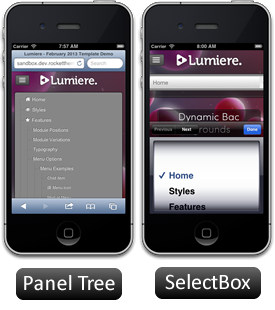 Lumiere's responsive grid system is designed for desktop, tablet and smartphone systems, each with minor modifications to ensure compatibility in each mode. 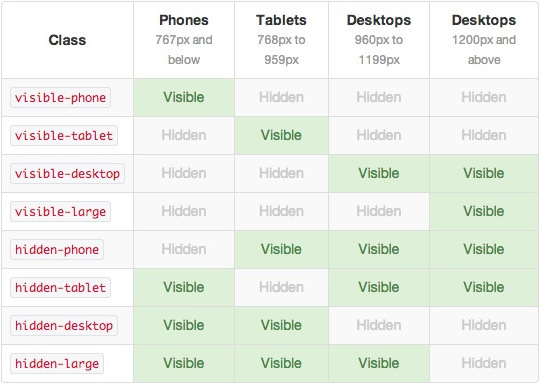 The table above shows the breakdown of screen resolutions and associated devices, and what layout characters are then applied to each. 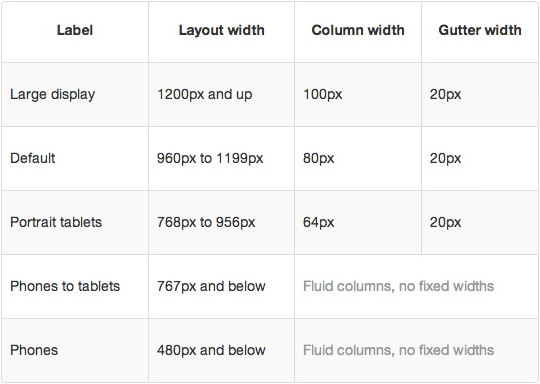 Another useful feature available, via Bootstrap, is the collection of responsive utility classes that can be used to help tweak layouts by providing a simple method of showing or hiding widgets. Insert the above css class into your widgets custom variation to show/hide a widget for a particular mode.